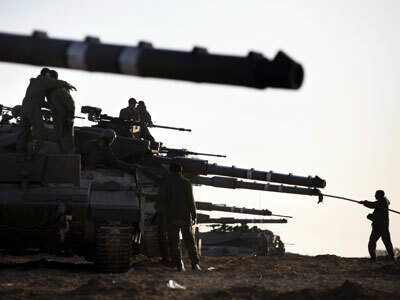 As Hamas continues to launch strikes on Israel, the government of the Jewish state said it’s ready to expand the operation against Gaza. Meantime, the ongoing global protests against Israel see thousands taking to the streets around the world. About a thousand of Indonesian students demonstrated in Jakarta, carrying Palestinian flags, as well as photos of destruction and casualties, and shouting “Save Gaza, save humanity” outside the US embassy. “America is a country that has always championed human rights but why is it not doing anything to stop Israel’s attacks? Israel is the real terrorist,” protest coordinator Yousef Saiful Gunawan told AFP. Around a thousand of Chileans also took to the streets of the country’s capital to protest against the ongoing violence. 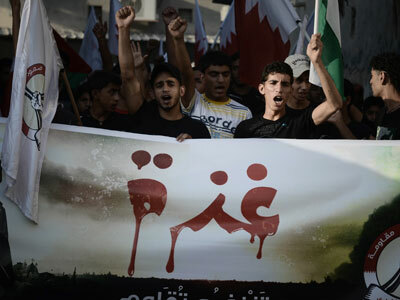 The demonstrators carried banners with photos of the conflict’s victims. There are about 350,000 Chileans of Palestinian descent living in Chile, making it one of the largest such communities outside of the Arab world. 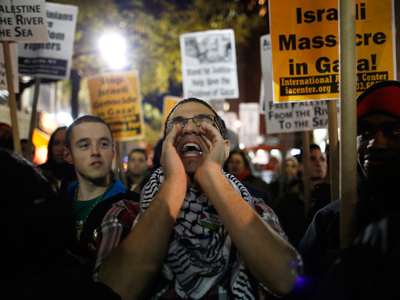 Crowds also gathered in the Netherlands’ capital Amsterdam to protest the Gaza assault. The demonstrators were holding posters which read, "No Dutch support for apartheid in Palestine. Boycott Israel." In London, thousands also rallied in support of the Palestinian people outside the Israeli embassy, condemning the British government’s stance on the issue. Sarah Colborne, director of the Palestine Solidarity Campaign, said protesters aimed to demonstrate they were "vehemently opposed" to the Foreign Office's position. The crowds waved Palestinian flags, sang "Gaza we will never let you die", branding Israel a “terror state.” There was a significant police presence in the area of the protest, with the road leading to the Israeli embassy blocked by barriers and a gate. Nine rockets were launched from Gaza on Sunday, with three of them hitting Israel and another four intercepted by Israel’s Iron Dome defense system. Israel’s Prime Minister Benjamin Netanyahu stated that the Jewish state is ready to “significantly expand” Gaza operation. As of now, at least 52 Palestinians, including 11 children, and three Israelis died in the conflict.